When you are pregnant with twins, you have so much going on. Between having more prenatal care appointments and tests, you have twice as many babies to worry about and all the more reason to ensure that you're eating well for two. Check out these guidlelines to ensure that you're on track with expected weight gain for your twin pregnancy. 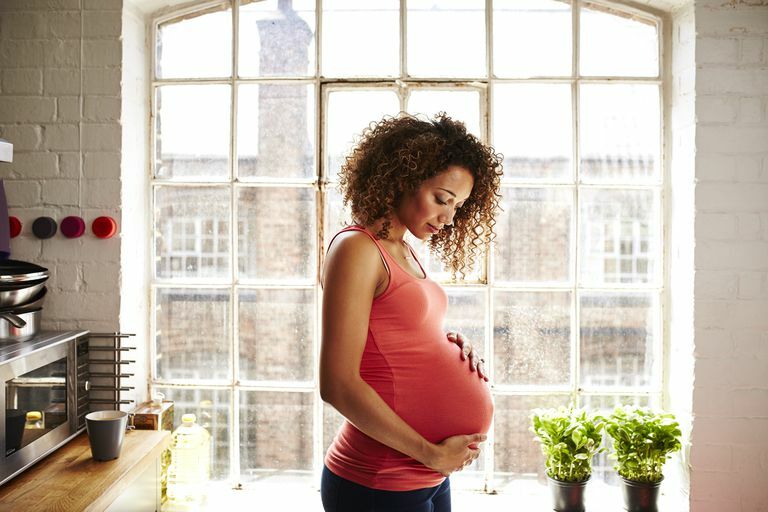 Most people have heard about the weight gain guidelines for a singleton pregnancy, but they also exist for moms pregnant with more than one baby. These new guidelines are actually BMI-specific and have been researched and are presented by the Institute of Medicine (IMO). These recommendations are made from looking at healthy gestations of other twin mothers, using their weight gain records and their BMI to calculate the safest weight gain ranges available. The thing that is absolutely critical to remember is that every woman is an individual. If you and your doctor decide that there is a targeted weight gain for you that is different than this list, then that is what you should shoot for in your pregnancy. One thing that Dr. Barbara Luke, a nutritionist who specializes in multiple pregnancies, has long recommended from her studies is that you gain 24 lbs by the 24-week mark. This has been shown to have a greater impact on gestation than lower weight gains. Though when many moms look at this they may be worried. Many twin mothers only gain about six pounds in the first trimester, so don’t panic and think that if you haven’t put on a pound a week in the beginning that you are doomed. In fact, you will typically gain about a pound and a half in both the second and third trimesters. Some early pregnancy symptoms like nausea, vomiting, food aversions or even hyperemesis can make it really difficult to gain weight. If you are having trouble gaining weight it is best to talk to your practitioner. They may even suggest that you talk to a nutritionist to help you figure out how to add more calories to your diet. It can be helpful to always carry around a snack. Think of something that you can stuff in your purse or backpack. A bag of nuts can provide you with protein and won’t spoil. If you have a shorter period of time before you intend to eat your snack, you can also think of fresh cut fruit or vegetables. There is also the idea of a banana or an apple as well. Even if you feel like you don't have an appetite, you can usually drink something. While you could drink something like a milkshake, you can also go for a healthier option like a fruit smoothie. Try throwing some baby spinach in there or even some protein powder for an extra caloric punch. Your stomach will eventually feel full quickly. Try not to overstuff yourself. Eat smaller meals to help avoid some of the side effects of overeating, like heartburn. In addition to smaller meals, eating more frequently is often helpful. Keep snacks ready at all times. This means you should have something ready in your cabinet or refrigerator, bring something to work to hide in your desk or have a stash in your car. Don’t laugh, but eventually, you can get so pregnant that you don’t feel like eating. This is when the smaller, more frequent meals can be very helpful. In addition, you can add scheduling to the mix. Eating by the clock is best when you rarely register the feeling of hunger. The larger your uterus is, the more likely it is that you may not feel hungry. Here’s the thing, make every bite count. Know when you’re having problems and ask for help. Realize that you will have better days and days that aren’t so great. Always talk to your doctor about questions you have, even for additional resources like that nutritionist referral. Are My Twins Sharing a Placenta? What's Different About a Twin Pregnancy?